Two fish species previously referred to as Betta sp. ‘Sengalang/Palangkayara’ and Apistogramma sp. ‘masken’ in the aquarium hobby have been described on an official basis in the last couple of weeks. 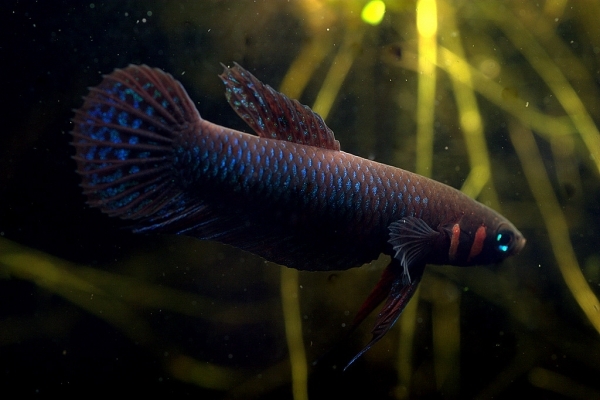 Betta hendra is named for its discoverer Hendra Tommy and has also been traded as B. sp. ‘Sebangua’ in the past. Its colour pattern looks similar to that possessed by members of the B. foerschi group of species but its breeding strategy, adult size and behaviour mean its actually included in the B. coccina group. It can be told apart from all other members of that group quite easily by the large extent of iridescent green pigmentation on the body and fins. The most closely-located member of the B. coccina group in terms of geography is B. uberis from which B. hendra can be distinguished by possession of 10-12 dorsal-fin rays (vs. 14-17 in B. uberis). 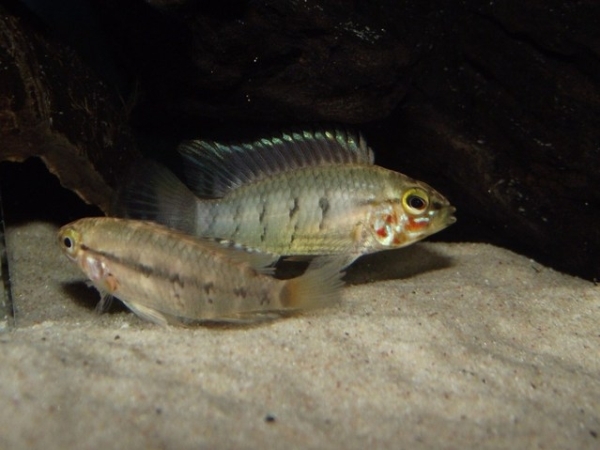 Apistogramma paulmuelleri is named in honour of late Professor Emeritus Dr. Paul Müller (1940-2010). The new species is also known by the trade names A. sp. ‘masken’, A. sp. ‘mask’, A. sp. ‘Peru (II)’, A. sp. ‘Peru-regani’, A. sp. cf. regani (Belém), A. sp. ‘carapintada’ and A. sp. ‘Apache’, although the latter has also been applied to certain other Apistogramma populations which are currently considered to represent unidentified species. It’s known only from a single stream where it’s been collected from a stretch measuring just a few hundred metres, located between the rio Itaya and Amazon/Solimões main channel near the jungle city of Iquitos, Peru.